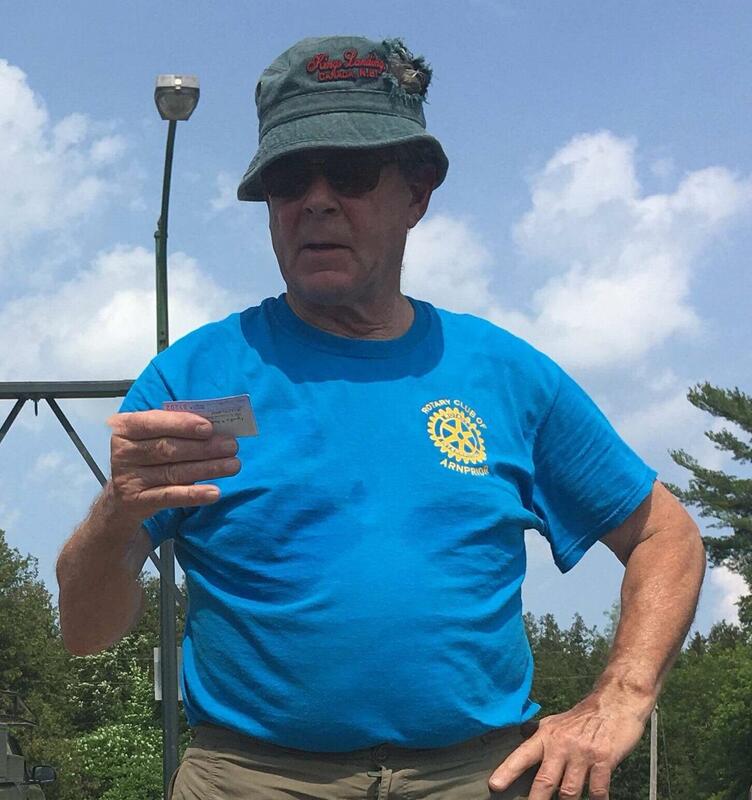 Another sellout year for the Annual Mad Duck Race ticket sales 2018. 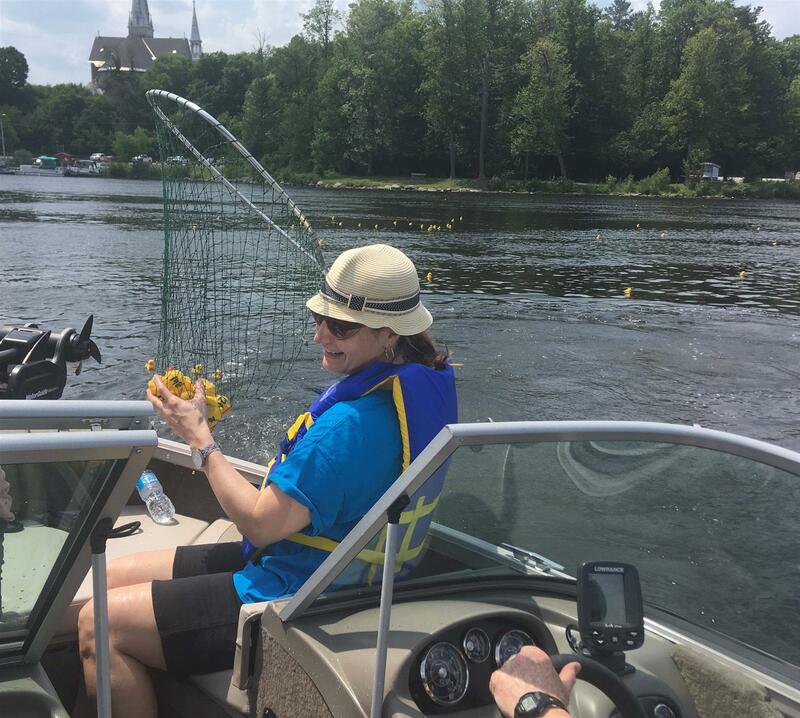 The Rotary Club of Arnprior 9th annual Mad Duck Race took place on July 1. This year saw another sell out in ticket sales. 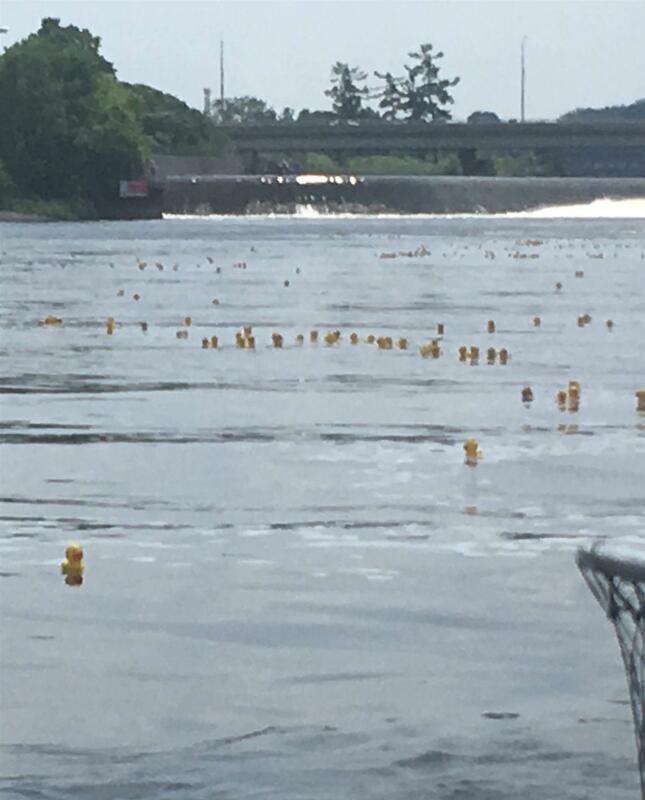 Fifteen hundred ducks floated down the Madaswaska River. Money raised from the sale of these tickets will go towards the Grove Re-development in Arnprior. Thank you to all those who supported us by purchasing tickets. The ducks will be resting up for next year. 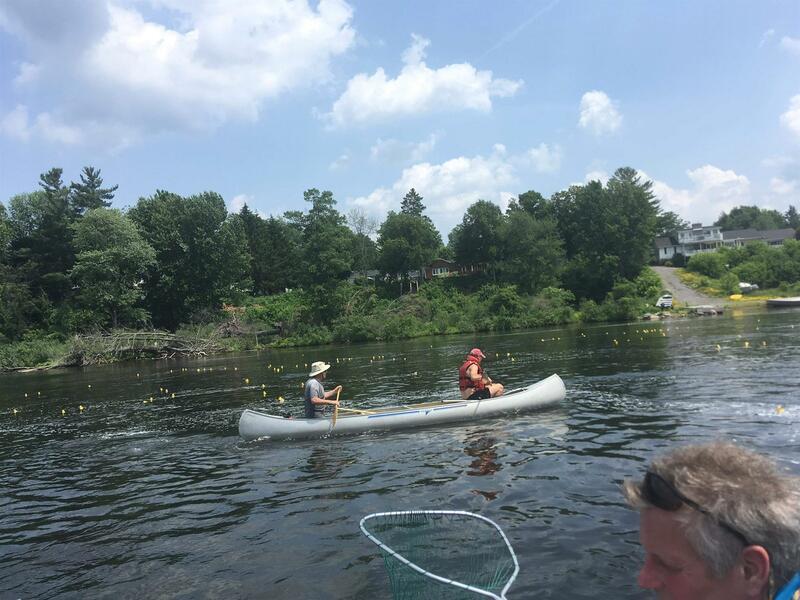 Rotarians, family and friends showed up in kayaks, canoes and a boat to help catch the ducks as they floated away on the mighty Madawaska River. Photo above showing Terry Dawson reading the winning numbers.